Here's one that's sure to make Toad weep, even if he's toting a golden mushroom or two. 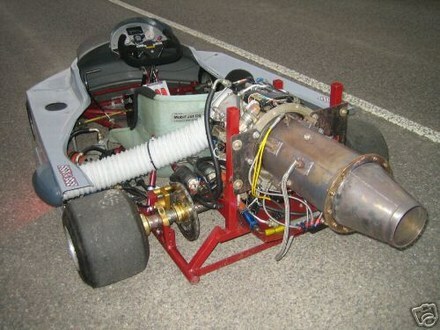 In a bid to make every Mario Kart (or speed demon) freak's dream come true, a bloke in Inverness has concocted a jet engine-equipped go-kart that actually sports a functioning afterburner. 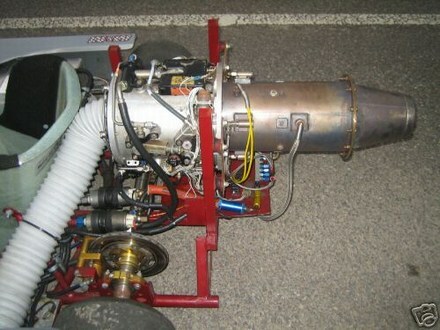 Similar to a number of other jet-powered vehicles we've seen, this one is fitted with a military spec JFS-100 jet engine and a push button afterburner that emits "extra thrust, noise, and spectacular fire / smoke effects." 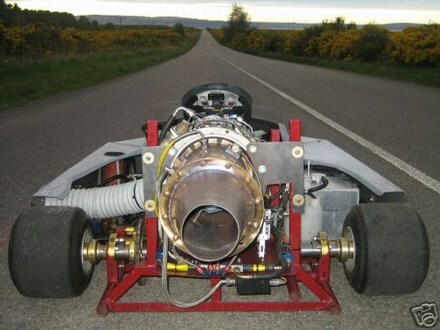 Moreover, you'll find an EGT gauge, MOMO steering wheel, and digital RPM meter crammed inside the wee vehicle, and if you just so happen to reside in the UK, you can get the bidding starting for a mere £5,000 ($9,864). More drool-worthy snapshots after the break.